The price of properties vary from one place to another but there are common costs that you need to be aware of when purchasing a home. The deposit is a standard requirement. This is the initial amount you pay to the seller and is normally 20 percent of the property’s total asking price. 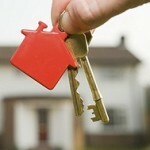 Take note, however, that you can negotiate for a lower amount of deposit instead of the usual 20 percent. The only downside is that you will need to pay a higher mortgage insurance. After the deposit, the other most important cost you will have to pay is your mortgage loan. For this phase alone, there are already different fees charged by the lender such as the application fee, evaluation fee and mortgage broker fee among others. Getting a home insurance is also a must. Lenders will normally require this prior to settlement. Do not take for granted as well getting a professional (solicitor conveyancer) to look into your contract. This is important so you will be made aware in case the property still has liens and other issues. Learn more about purchasing investment properties and renovating for profits in a free webinar by Jane Slack-Smith of Your Property Success on September 25th. Register here now as slots are limited. This 2 Properties + 1 Renovation = $1 Million in the Bank webinar is in preparation for the launch of her upcoming Ultimate Guide to Renovation 2014 course.